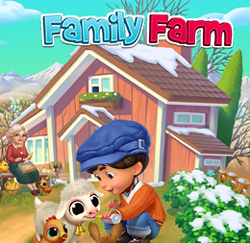 Hi, my name is Dianne and I love playing family farm! Hello My name is Teresa. I am level 23.I try and play everyday. I do play 3 other games as well. Thanks have a great day. How do I remove my water animal habitet from warehouse to water ranch? thanks! btw: my warehouse locates on the home ranch. Hello. The only reason I joined this site was to see if there was a way to add neigbors just to exchange needed items instead of spending $ to get things accomplished/built on my farm.